The International Fund for Animal Welfare published a study into the illegal wildlife trade in June 2013 which calculated that an elephant dies to poaching every 15 minutes. The National Academy of Science published a report in August 2014 citing that 100,000 elephants have been killed over the last three years. 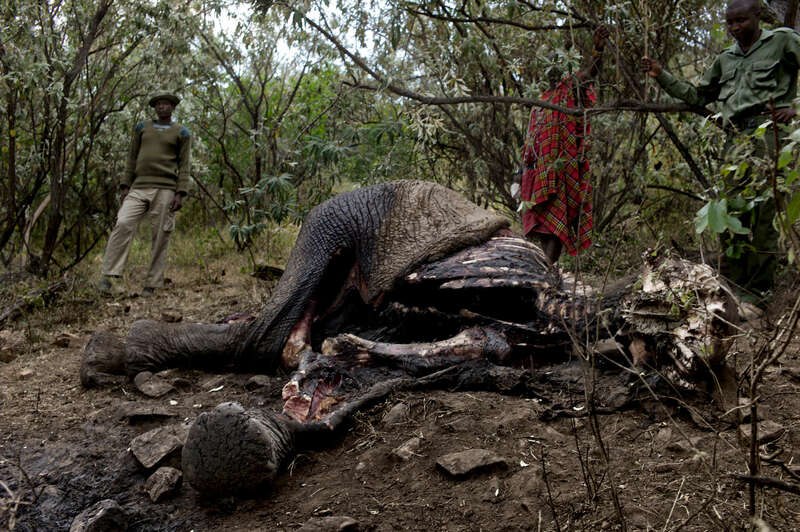 Some elephants are shot, while others are poisoned with arrows or pieces of metal. This one was poisoned.